St. Thomas School was established in the year 1973. It is a Christian minority institution under the management of ‘The Education Society of the Catholic Diocese of Bijnor, a Registered Society under the Societies Registration Act XXI 1860. This year is unique one for the school as we are completing 40 years in the field of educating the young minds. 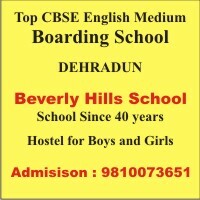 The school was affiliated to Indian School Certificate Secondary Examination (ICSE) in the year 1986 and the school was upgraded to Indian School Certificate Examination (ISC) in the year 2010. We aim at an excellent academic community characterized by a shared vision, responsibility, mutual love, understanding and respect for all human beings as children of God. Professional, personal and spiritual growth of the staff is given due importance. Opportunities are provided to all the students without any discrimination to develop their imagination, creativity, aesthetic sense and communication skills. Value oriented activities are also provided for them to make them better citizens of tomorrow.